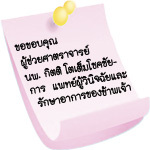 อัจฉรา กุลวิสุทธิ์. 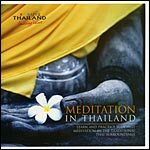 เอกสารประกอบการเรียนการสอนรายวิชา PTPT 334 คณะกายภาพบำบัด มหาวิทยาลัยมหิดล เรื่อง Spondylo-arthropathy; 2551. Khan MA. ANKYLOSING SPONDYLITIS : the facts. 1st ed. London: Oxford University Press; 2002. Sieper J, Braun J. Ankylosing spondylitis in clinical practice. 1st ed. London: Springer; 2011. 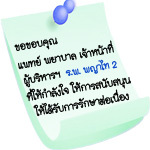 ในเวลาราชการ วันจันทร์ – ศุกร์ 08.00 – 16.00 น. 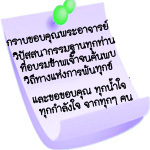 นอกเวลาราชการ วันจันทร์ – ศุกร์ 16.00 – 18.00 น. 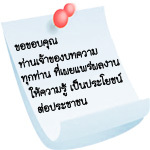 วันเสาร์ – อาทิตย์ 08.00 – 16.00 น. A new study presented today at EULAR 2012, the Annual Congress of the European League Against Rheumatism, has identified five biomarkers that may predict the progression of structural damage in the spine of patients with Ankylosing Spondylitis (AS) who are already at high risk of disease progression. 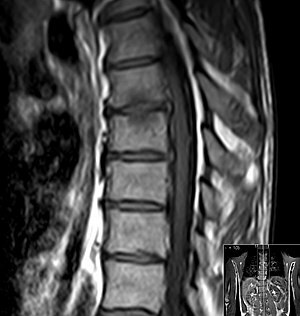 The German study analysed 64 patients from the German Spondyloarthritis Inception Cohort (GESPIC), due to the presence of radiographic spinal damage (syndesmophytes, the strongest predictor of further damage) and elevated blood level of c-reactive protein (CRP, a marker of systemic inflammation, another recently identified predictor of structural damage progression) at baseline. Patients were divided into two groups, Group I patients (progressors) had syndesmophytes at baseline and new syndesmophyte or syndesmophyte growth after two years. Group II patients (non-progressors) had syndesmophytes at baseline but without progression after two years. The study found key inter-group differences between the progressors and non-progressors, who were at risk for progression due to the presence of syndesmophytes and elevated CRP at baseline. Those patients whose disease progressed had significantly higher serum levels of the biomarkersmatrix metalloproteinase 3 (MMP3), bone-morphogenetic protein (BMP) 2, procollagen type II N-propeptide (PIINP) and vascular endothelial growth factor (VEGF) and lower levels of the biomarker osteoprotegerin (OPG), indicating that these may predict the progression of structural damage. These data demonstrate that combinations of biomarkers with clinical parameters might help rheumatologists to identify AS patients with bad prognosis already at the early disease stage. Active and appropriate treatment of such patients my improve a long-term outcome and prevent or retard progression of spinal damage. Patients were assessed via radiographs of the lumbar and cervical spine performed at baseline and after two years of follow up and independently scored by two trained readers. Serum levels of the following biomarkers were examined: CRP, MMP3, sclerostin, Dickkopf 1, periostin, BMP-2, BMP-7, OPG, VEGF, procollagen type I N-propeptide (PINP), PIINP, C-terminal crosslinked telopeptide of type II, bone alkaline phosphatise soluble receptor activator of kB ligand, cartilage oligomeric matrix protein and bone sialoprotein. AS, together with rheumatoid arthritis and psoriatic arthritis, is one of the three most common forms of inflammatory arthritis. More common in men, AS mainly affects the spine but can also affect other joints, tendons and ligaments. AS describes the condition where some or all of the joints and bones of the spine fuse together. The overall prevalence of AS is 0.5-1% of the general population. Yesterday I visited a friend for coffee, cleaned the bathroom and made a pie. Today I woke at dawn, swallowed some painkillers, had to be helped into the bath and was unable to leave the house. Things weren’t always this way, but for the past decade, chronic illness has decided my fate each day. I simply have no say in it. My life-changing moment came in the bathroom of a motel in France in the summer of 1999. I was covering the Formula 1 Grand Prix motor racing season for men’s magazine Loaded. I had already been to Barcelona, with trips to Monaco and Australia coming up. Between races I wrote a football column for a broadsheet. I’d just bought a flat in Brighton. I was 27 years old; happy, independent and fiercely ambitious. I certainly hadn’t expected to see blood in the toilet bowl that morning. Worried, but not panicked, I made a mental note to visit my doctor, and flushed it away. My whole world went with it. Ulcerative colitis is a debilitating form of inflammatory bowel disease (IBD). There is no cure, but in most cases it can be managed. I cut out wheat and dairy from my diet, upped my vitamin intake to counteract the steroids I’d been ordered to take and started doing yoga. My boyfriend, a ruggedly handsome 1950s throwback, took me out dancing every weekend. I kept fit, and although I was exhausted, I wasn’t in any pain. One morning, six months after my diagnosis, I woke abruptly, engulfed in such excruciating pain around my ribcage that I was unable to catch my breath. I couldn’t bend down to dress myself without screaming as pain shot through my hips. I was sure it had nothing to do with the colitis. This went on for weeks until one evening I passed out, and woke with a raging fever and stomach cramps. I was admitted to hospital where I underwent emergency surgery to remove my large bowel as it had begun to perforate. I came round from the operation to find I had an ileostomy – a blob of small intestine protruding from my stomach, encased in a clear bag. My hair went grey overnight; my weight fell from eight to six stone. I had tubes and needles inserted into various parts of my anatomy and a 12-inch scar from under my ribcage to my pubic bone. I was repulsed by what had become of my body. My boyfriend visited every day, but once I left hospital three weeks later, our relationship ground to a halt; I needed space, both in an emotional and literal sense. I was in a state of shock, barely speaking to my parents as they did their utmost to care for me, but the pain had gone. Nine months later I went through an eight-hour operation to give me a new internal plumbing system. The ileostomy was removed, and the colitis itself had been dealt with: I could move on and get my career back on track. But within weeks of my recovery from surgery, the same pain was back with a vengeance. It made no sense. I doubled my prescription painkiller doses, worked when I could and just about kept my head above water. I was too proud to take up my parents’ offer of moving back home; Dad would bail me out if I needed help with a mortgage payment or gas bill. When I experienced a rare whole month of barely any pain, I flew to Las Vegas with friends for a rockabilly break, where I danced every night and rode the roller coasters, the ultimate two fingers up to my illness. Naturally, my frail body didn’t cope and I could barely walk for the last few days of the holiday and the six months that followed. In 2004, aged 32, I was finally diagnosed with ankylosing spondylitis, a debilitating, chronic inflammatory arthritis, often triggered by IBD, in which the sacroiliac joints (which join the base of the spine to the pelvis) become inflamed. Scar tissue forms in the spaces between vertebrae and eventually they fuse together, causing limited movement of the spine and, in my case, constant, agonising pain in my spine, ribcage, shoulders, neck and hips. Having tried every treatment to no avail, the local health authority agreed that I could trial a new injectable drug. The pain disappeared overnight then, a few months later, came back with vigour, but sporadically. 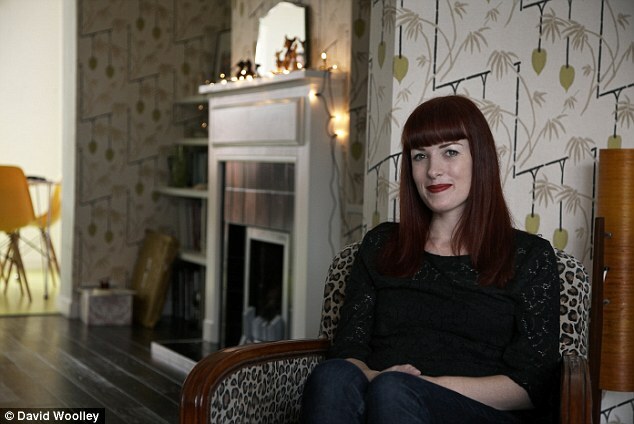 I had no idea how I would feel from one day to the next; I just pushed myself to do as much as possible whenever I woke up and felt OK, from writing a book to decorating my flat. I had good weeks and bad weeks, and just rode the wave. One night, in February 2007, I was introduced to a handsome, brooding, aloof, chain-smoking French guitarist called Gautier at a gig in London. Sparks flew. He visited me in Brighton two weeks later, proffering a typically Gallic shrug when I told him about my illness. I had been told that the effects of this drug on a growing foetus were unknown, so I mustn’t get pregnant; add all the post-surgery scar tissue and the fact that I could barely look after myself and having a child was not an option. Gautier was unfazed, while I was becoming used to having decisions made for me. I flew to Gautier’s home town in France for his 30th birthday in March. He proposed that weekend. We married on an extraordinarily sunny day in September at Brighton’s Royal Pavilion. A cocktail of prescription painkillers enabled me to stand in my four-inch heels during the ceremony. He already thought me beautiful; it was my determination, I think, that he was beginning to admire. We had no money for a honeymoon so, instead, we got ourselves a cat. Two summers later, with Gautier in full-time work in the computer games industry and playing in his band, I sold my flat and we bought a 1930s house with a white picket fence in the Brighton suburbs. Over the past year, the effects of my drug appear to be wearing off; I wake up each day at dawn with the pain tearing through me. Some days I manage to go to the supermarket or clean the kitchen, but most mornings I can’t reach my painkillers or get out of bed without Gautier’s help. Although I often have a glazed expression from today’s dihydrocodeine and last night’s diazepam, and walk with an awkward, twisting gait, wearing a slick of red lipstick and my leopard-print coat means I always look OK, even if I’m falling apart. Half the battle is psychological. Chronic illness is wicked and cruel. It is debilitating, exhausting, destructive, isolating and totally unforgiving. It knows no bounds, and has no mercy. It doesn’t care that it’s your birthday or you’re getting married; it’ll still show up and ruin your day. It’s hard to have hope when you know there’s no cure; near impossible to stay positive with no light at the end of the tunnel. There is no such phrase as ‘when I’m better’, and I am constantly reminded of my own inabilities, surrounded by friends with great careers or new babies. I feel I have no purpose; I’m 39, but neither a career woman nor a mother. Then I look at Gautier and the cat and think, ‘They’re my purpose, get on with it.’ On the odd days when my pain is manageable, I’ll head to the local RSPCA centre where I take a little dog on a walk, for as long as my hips allow. Maybe I’ll do some washing and bake a cake. If I’m OK to drive, Gautier and I might head to the seafront for brunch or to the zoo as we did on my birthday. On a good day I’ll wear Chanel No 5; on a bad day Gautier puts up with the less attractive scent of Deep Heat. If my life were a weather report, it would read ‘mostly cloudy, with a few bright spells’, but those bright spells are the moments that keep me going, despite them diminishing rapidly. Still, I have confidence at times where many fit and healthy women don’t: on the beach, despite my scars, I wear a bikini. If anyone stares, I tell them that I was mauled by a bear. When Gautier goes away with his band, I don’t sit at home fretting about what he’s up to, surrounded by free drinks and beautiful women. I trust him implicitly; he gives me no reason not to. On the other hand, I’d understand if he left me for one of them, but if I worried all day, I’d go insane. We are not destitute, but my illness has had a huge impact on my finances. My underwear and beauty products are supermarket own-brand, my Topshop jeans second-hand. I haven’t been to the hairdresser in a decade. I would love to go to New York this summer with Gautier to celebrate my 40th birthday, but we’d have to win the Lottery for that to happen. I’m hoping we can at least afford – and my illness permits – a weekend on the Isle of Wight. If my parents are the glue that holds me together, Gautier is the Sellotape on top. He is incredibly wise; the calm to my storm. His love gives me emotional stability where there is so much uncertainty elsewhere in my life. My closest friends, Bo, Alice and Cherry, offer me invaluable emotional support. Sara saves all her magazines for me and Amy brings me chocolates and cuts my hair. I hope that, someday, the good days will outweigh the bad. I hope I will always feel this loved, because that’s what keeps me going. As they say in the film Transformers, ‘Hope for the best, but prepare for the worst’ – because at the end of every bad day, there is always tomorrow. Chronic illness often means isolation, frustration and, above all else, boredom. While you can’t take away a person’s pain, there are ways in which you can help. ● If the sufferer says they’re too unwell to come out to meet you, don’t offer a glib, ‘Hope you feel better soon’ — pop in to see them instead. This never occurred to my friends until I told them how isolated I felt. I’m often in too much pain to go out but a cup of tea and a gossip does wonders to lift my spirits. ● I struggle with housework but never ask for help. When my parents visit, Dad will mow the lawn or clean my car while Mum runs the Hoover round. If you pop by ‘for a chat’ and just happen to do something useful while you’re there, it’ll be much appreciated. ● If you’ve finished with a book or DVD, pass it on. Chronic illness often means little money. ● Pick up the phone. Tell them you’re thinking of them. Sometimes, it really is that simple. ● I try not to sweat the small stuff. If the kitchen and bathroom are clean, the washing’s done and there’s food in the house, it’s not the end of the world if there’s a bit of dust. ● I find it very hard to relax, and rarely get more than two to three hours of sleep a night due to pain and a stressed state of mind. Gautier runs me a bubble bath once a week, or sends me to bed early with a good book to help me wind down — for his sanity and mine. ● I remind myself of the mad things I did before I became ill, such as in 1996 when I interviewed the Spice Girls for 90 Minutes football magazine. I showed Victoria a photo of David Beckham to see if she fancied him. She did. ‘Go to Old Trafford with Mel C and buy him a drink in the players’ lounge,’ I told her. ‘I’m going to ask him out for dinner!’ she exclaimed. A few weeks later they duly met in the players’ bar and the rest is history, but I never did get a wedding invitation, despite them both telling the story in their autobiographies. Pah! ● I’m devastated that I can’t dance any more, so I found myself a new interest — working my way through The Masterchef Cookbook. I feel a real sense of achievement when I come up with something fabulous for dinner, even if it’s just for the two of us. What is juvenile ankylosing spondylitis? Juvenile ankylosing spondylitis (JAS) is a type of arthritis that affects the spine and the sites where the muscles, tendons, and ligaments are attached to bone. “Ankylosing” means stiff or rigid, “spondyl” means spine, and “itis” refers to inflammation. The disease causes inflammation of the spine and large joints, resulting in stiffness and pain. The disease may result in erosion at the joint between the spine and the hip bone (the sacroiliac joint), and the formation of bony bridges between vertebrae in the spine, fusing those bones. In addition, bones in the chest may fuse. JAS is considered to be a multifactorial condition. Multifactorial inheritance means that “many factors” are involved in causing a health problem. The factors are usually both genetic and environmental, where a combination of genes from both parents, in addition to unknown environmental factors, produce the trait or condition. Often one gender (either males or females) is affected more frequently than the other in multifactorial traits. Multifactorial traits do recur in families because they are partly caused by genes. A group of genes on chromosome 6 code for HLA antigens play a major role in susceptibility and resistance to disease. Specific HLA antigens influence the development of many common disorders. Some of these disorders, such as JAS, are autoimmune related and inherited in a multifactorial manner. When a child has a specific HLA antigen type associated with the disease, he/she is thought to have an increased chance to develop the disorder. The HLA antigen associated with JAS is called B27. Children with the B27 HLA antigen are thought to have an increased chance (or “genetic susceptibility”) to develop JAS; however, it is important to understand that a child without this antigen may also develop JAS. This means HLA antigen testing is not diagnostic or accurate for prediction of the condition. Males are affected with JAS three times more often than females. Who is affected by juvenile ankylosing spondylitis? AS strikes young people, typically between ages 17 and 35, but it also may affect adolescents. AS is thought to affect males two to three times more often than it does females. What are the symptoms of juvenile ankylosing spondylitis? Symptoms of juvenile ankylosing spondylitis may resemble other medical conditions or problems. 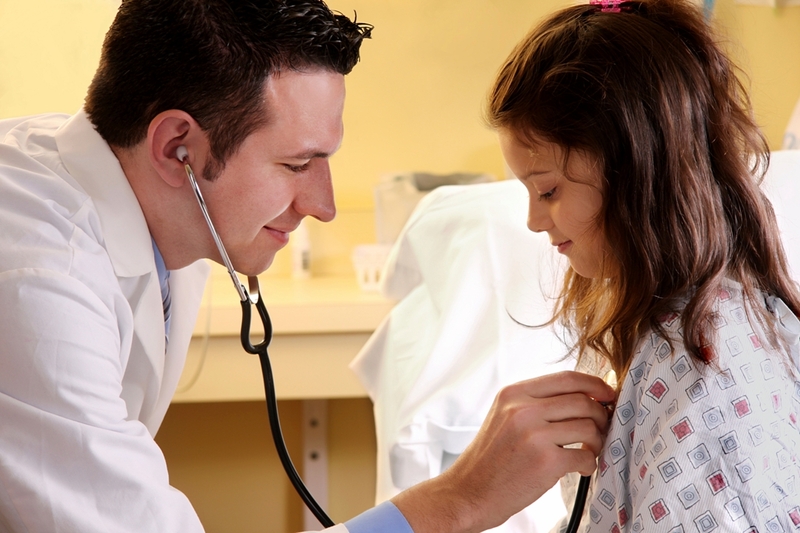 Always consult your child’s physician for a diagnosis. How is juvenile ankylosing spondylitis diagnosed? x-rays – a diagnostic test which uses invisible electromagnetic energy beams to produce images of internal tissues, bones, and organs onto film. detection of (HLA-B27) antigen – HLA-B27 is an antigen (a substance that causes the body to produce antibodies to fight bacteria, viruses, and other “foreign” particles to prevent infection) whose presence may indicate the presence of some type of autoimmune disease (a condition in which the body’s own defenses begin to attack the body’s cells). The goal of treatment for JAS is to reduce pain and stiffness, prevent deformities, and help your child maintain as normal and active a lifestyle as possible. high fever symptoms are phases.Chronic disease for low heat usually takes the symptoms, significant weight loss, the whole body is fatigue, muscle atrophy, many local with serious peripheral large joints, and joint axis, hip osteoarthritis symptoms in most see more.A few children have lymph node enlargement, mild or severe anemia. happened only history of repeated episodes of iris inflammation, can last for years, early iris inflammation can be ankylosing spondylitis only performance, performance for unilateral jealous, pain, photophobia, and black Meng etc, can have eyes, involving heavy appear alternately, duration is commonly 4-6 weeks, iris inflammation usually without sequelae. serious aortic valve closed not all were rare, individual ankylosing spondylitis have nonspecific block lesions. 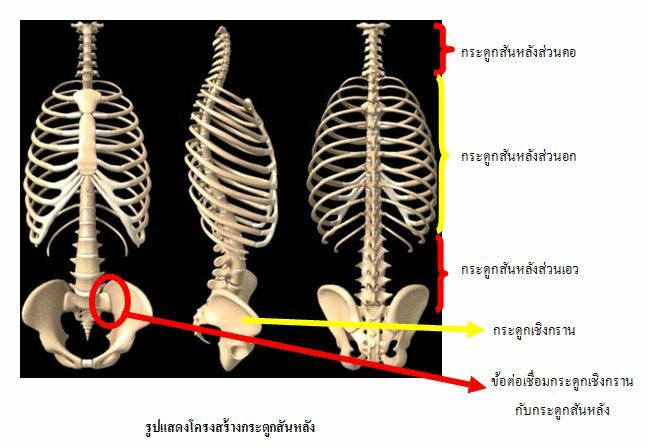 spread the chest rib joint affect respiratory function.No serious patients with spinal involvement, the general effect of thoracic range of motion and breathe without change. and onset form: the disease in older children, male more than female, men and women ratio is about 80%-90% of cases now, other than weeks joint, or as the main symptoms of infection attachment points and general with lower limb is given priority to, have lower back pain, morning stiffness, activities such as the limited symptoms or X-ray sacrocoxitis.Affected joint usually less than 10, few joint see more than many joints, often for one or not symmetrical. peripheral arthritis: the performance for the single arthritis, few arthritis or attachment point inflammation, sustainable or repeated attacks months and years.More than 85% lower limb joints involved, upper limbs arthritis rare, few arthritis is usually unilateral or asymmetry, many joint general symmetry, for often misdiagnosed for rheumatoid arthritis. And the following disease identification:(1) children ankylosing spondylitis and children of rheumatoid arthritis identify: children of ankylosing spondylitis early clinical performance often meet children of rheumatoid arthritis diagnosis standard. But ankylosing spondylitis always have a positive family history, HLA-B27 positive, arthritis, joint hands with lower limbs as less involvement.We experience, and close examination double sacroiliac joints, such as tenderness, 4 words experiment and often the positive results; Attachment points for both the best identify disease, especially in full, knee weeks the place such as the involvement more meaningful.If three or five years appear joint axis performance, it is not difficult to diagnosis general. the genetic differences: children of ankylosing spondylitis often SC42 single times type and G1o-1 b dialdehyd enzyme and adult-onset phenotype, a single times for SC31 type and G1o-2 b dialdehyd enzyme phenotype.2, clinical differences: children of ankylosing spondylitis, including sufficient with peripheral joints involved more;And the adult-onset including cervical, thoracic vertebra, square change, and vertebral bone bridge and bone into the joint axis involvement at more see. 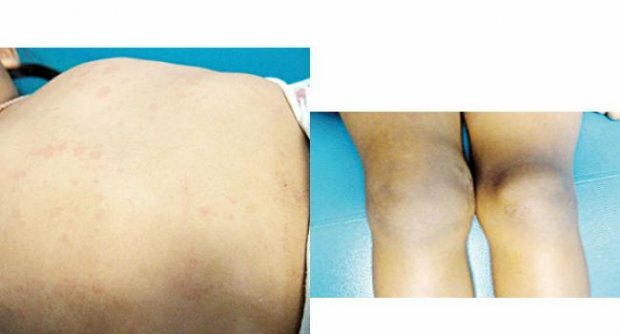 Children of ankylosing spondylitis sustained or repeated attacks of hip, knee, ankle and between toes arthritis is adult see more, need to do more also hip replacement. In addition, fever, anemia, such as interleukin increased is also see more children. 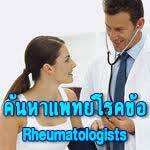 do not easily identify diagnostic rheumatoid arthritis. 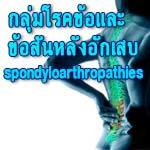 เป็นโรค ankylosing spondylitis เมื่ออายุถึง 40 ปี… ร่างกายจะหยุดการดำเนินโรคได้เอง !!! 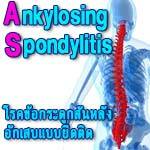 ตอบ โรคข้อกระดูกชนิดติดแข็ง (ankylosing spondylitis) เป็นโรคในกลุ่มไขข้ออักเสบเรื้อรังชนิดแข็ง ซึ่งจะมีผลต่อข้อกระดูกหลังและข้อต่อกระดูกเชิงกราน เป็นโรคที่มีความสัมพันธ์กับยีนบางชนิด ดังนั้น จึงไม่หายขาด แต่โชคดีที่โรคดังกล่าวมีการดำเนินโรคจำกัด คือ อาการเริ่มเมื่อเข้าสู่วัยรุ่น และดำเนินต่อจนอายุ 40 ปี จะหยุดการดำเนินโรค ดังนั้นถ้าในช่วงอายุ ดังกล่าวผู้ป่วยสามารถควบคุมอาการอักเสบของข้อ รักษาการเคลื่อนไหวของข้อที่สำคัญไว้ได้ เช่น ข้อสะโพก ข้อต่อกระดูกชายโครง (เพื่อการขยายตัวของปอด) ก็จะให้ผลการพยากรณ์โรคดี. 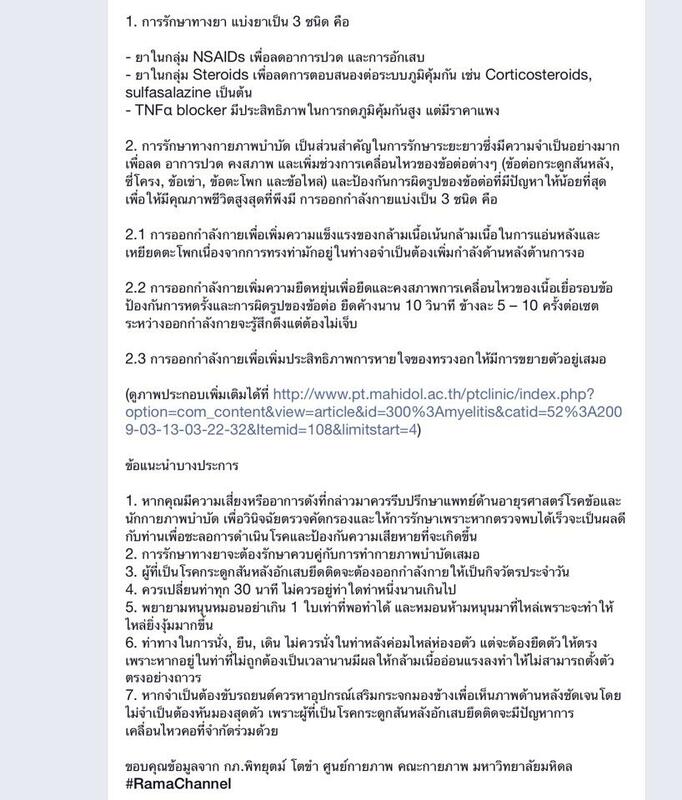 โดยในระยะแรกอาจต้องใช้ยาลดอาการอักเสบช่วย ซึ่งปัจจุบันมียาดีๆ หลายขนาน แต่ที่สำคัญคือ การปฏิบัติตัวเพื่อหลีกเลี่ยงปัจจัยที่เพิ่มความเสี่ยง เช่น งดสูบบุหรี่ เพราะโรคดังกล่าวจะทำให้การขยายตัวของปอดไม่ดี การสูบบุหรี่ยิ่งทำให้ปอดทำงานลดลง หลีกเลี่ยงการอยู่ในท่าเดียวนานๆ และการออกกำลังกายสม่ำเสมอ โดยเน้นการออกกำลังกายที่ไม่รุนแรง เช่น การว่ายน้ำ การขี่จักรยาน ทั้งนี้เพื่อให้ข้อมีการเคลื่อนไหวอย่างสม่ำเสมอ และฝึกการหายใจ มีท่าออกกำลังกายเฉพาะอีกหลายชนิด ซึ่งสามารถขอคำปรึกษาได้จากแพทย์ผู้เชี่ยวชาญทางเวชศาสตร์ฟื้นฟู. ดังนั้นหากเขาใช้ข้อไหนมากเป็นพิเศษก็จะบ่นว่าปวดข้อนั้นภายหลังจากใช้งาน เด็กกลุ่มนี้จะเติบโตปกติ จะมีประวัติการปวดมาเป็นปี ๆ แต่ก็ไม่มีข้อติดแต่อย่างใด การลดกิจกรรมที่ทำให้ใช้ข้อนั้นมากจนเกินไปลง อาการปวดข้อก็จะดีขึ้น ส่วนเด็กที่มักมีอาการปวดขาตอนกลางคืน เกิดขึ้นได้จาก 2 สาเหตุ ซึ่งจะเป็นอย่างไรนั้น สัปดาห์หน้าหมอมีคำตอบมาฝาก พร้อมทั้งคำถามเกี่ยวกับโรคข้ออักเสบรูมาตอยด์ในเด็ก และการรักษา. สำหรับยาที่ใช้รักษาก็เป็นยาในกลุ่มยาต้านการอักเสบ และยากดภูมิคุ้มกัน ก็เพราะภูมิคุ้มกันมันทำงานเยอะเกินเราก็เลยต้องใช้ยากดภูมิคุ้มกันเพื่อควบคุมมันไม่ให้มาทำร้ายตัวเอง ในระยะยาวมีทั้งเด็กที่หายขาด หรือมีทั้งเป็นเรื้อรังจนกระทั่งโตเป็นผู้ใหญ่ ทั้งนี้แล้วแต่ชนิดที่เด็กคนนั้นเป็น เพราะการดำเนินโรคในแต่ละชนิดไม่เหมือนกัน แต่การรักษาตั้งแต่เนิ่น ๆ จะทำให้รักษาง่ายกว่า และลดภาวะแทรกซ้อนได้มากกว่า เพราะฉะนั้นหากลูกมีอาการดังกล่าวข้างต้น ก็ควรปรึกษาแพทย์เฉพาะทางแต่เนิ่น ๆ เพราะถ้ารักษาช้า อาจมีภาวะแทรกซ้อนตามมา เด็กไม่โตเท่าที่ควร หรือทำให้ข้อติด ข้อโดนทำลาย ทำให้ใช้งานไม่ได้ตามปกติ กลายเป็นพิการไป ทั้ง ๆ ที่รักษาได้ตั้งแต่แรก. Britain is a nation with a bad back. Recent research revealed that 80 per cent of Britons have one or more bouts in their lifetimes, and the condition is the single most common reason we see a doctor. In most cases, treatment will be as simple as taking a paracetamol and trying to get on with the day. But in some instances, there could a more serious cause. Dr Catherine Mathews, consultant rheumatologist at The BMI Blackheath Hospital in London, says: ‘In very rare instances, back pain can be symptomatic of something sinister, such as cancer or tuberculosis. If you suffer with back pain, your first stop should always be your GP. The good news is that many instances of back pain are easily treatable and need not lead to long-term misery. Here, with the help of leading experts, we find out what your back could be trying to tell you . . . This is a degenerative disease that affects the cartilage which coats the bones at the end of joints. Sometimes, the wear and tear of osteoarthritis also puts pressure on the nerves extending from the spinal column, causing weakness and pain in the arms or legs. Osteoarthritis of the spine usually doesn’t happen until about the age of 45. Sitting in one place for a prolonged period also puts pressure on the back. This happens when the back muscles are strained or even torn, usually as a result of a single incident. Sufferers often remember the instant the pain started and relate it to a particular situation. ‘The pain is normally on one side as it will relate to a specific area, rather than emanating from the spine,’ says Margo. If the pain does come from the spine, it could have been caused by nerve irritation to the joints or ligament. You may need to rest for a day if the pain is really bad, but start moving as soon as you can, otherwise the muscles can become immobilised and the problem gets worse. ‘Use ice, an ice spray or gel for about seven minutes on the affected area, three to four times a day. Do this for the first 36 hours to reduce inflammation, then switch to heat treatment which will help relax the muscles,’ says Margo. Leg pain, numbness or weakness that starts in the low back and travels down the sciatic nerve in the leg is known as sciatica. The pain is likely to be constant in one side of the buttock or leg and is made worse by sitting. Sciatica is commonly caused by a slipped disc, when the spinal discs that act as cushions between the bones of the spine move and press on the nerves. If you have a slipped disc, it may hurt when you cough. Margo suggests: ‘You can alleviate leg pain at night by sleeping with a pillow between your knees. Hot packs applied to the back such as Thermacare Heat Wraps may help as these provide heat and support to the area. Pain from small kidney stones may last only a few hours and is likely to stop when the stone is passed into the urine. Stones that don’t pass can be treated by extracorporeal shock wave lithotripsy (ESWL) X-rays. Ultrasound is used to pinpoint the stone, then a machine sends shock waves of energy to break it into smaller pieces so it can be passed. This is a form of arthritis in which the spinal joints and ligaments and the joints at the base of the spine become inflamed. The condition is also associated with people who suffer from psoriasis, and colitis (inflammation of the colon). Stay active to improve your posture and range of spinal movement, as well as preventing your spine from becoming stiff and painful. ‘Try rotation exercises such as swivelling your hips or twisting your waist,’ says Margo. ‘And practise walking with your hands behind your back as this will make you stand tall. 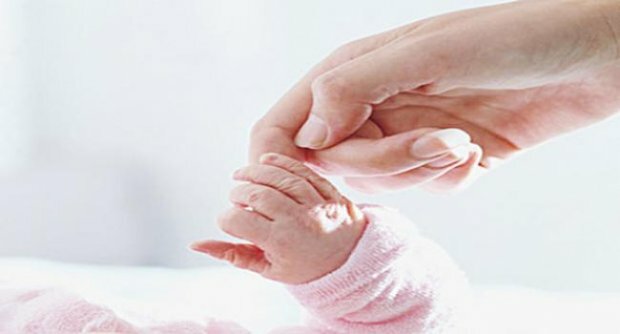 ScienceDaily (July 10, 2011) — A study involving over 5,000 people living with the joint disorder ankylosing spondylitis has identified a series of genetic variants associated with increased susceptibility to the condition as well as providing new clues to how the condition may be treated in the future. The study, a collaboration between the Australo-Anglo-American Spondyloarthritis Consortium and the Wellcome Trust Case Control Consortium, also provides one of the first confirmed examples of gene-gene interaction seen in humans. Ankylosing spondylitis is an autoimmune disease that affects as many as one in 200 men and one in 500 women in the UK, typically striking people in their late teens and twenties. While it mainly affects the spine, it can also affect other joints, tendons and ligaments. More rarely, it can affect other areas, such as the eyes, lungs, bowel and heart. Now, a study carried out in the UK, Australia and North America comparing the genomes of 3,023 cases against those of 8,779 healthy controls has identified a series of genetic regions newly implicated in the disease. The findings were confirmed in an independent cohort of 2,111 cases and 4,483 controls. The results are published in the journal Nature Genetics. The study identified three regions of the genome — RUNX3, LTBR and TNFRSF1A — in which genetic variants were strongly associated with ankylosing spondylitis. 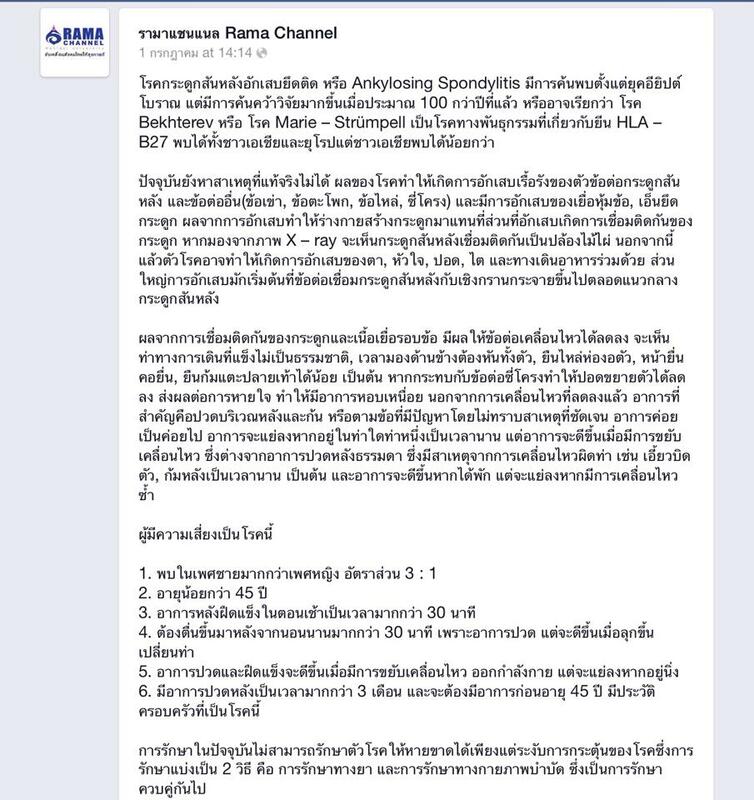 In addition, they found a further four which are likely candidates: PTGER4, TBKBP1, ANTXR2 and CARD9. As well as furthering our understanding of the genetics underlying the condition, the findings also strengthen evidence that a particular process by which signals are transmitted within cells — known as the IL-23R pathway — is involved in the disorder and could be a target for drugs. The study also provided clues as to why a particular genetic variant known as HLA-B27 is associated with the disease. Scientists have known for almost forty years that this variant significantly increases the risk of developing the disease. Nine out of ten people with ankylosing spondylitis carry the variant. Whilst not everyone with the variant develops the condition, those who carry the variant are up to eighty times more likely to develop it than non-carriers. Yet despite this knowledge, the mechanism by which the variant causes the disease is still unknown. The researchers found that variants of the gene ERAP1 interact with HLA-B27 to affect disease susceptibility — one of the first confirmed examples of gene-gene interaction seen in humans. 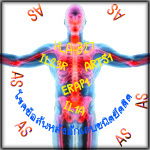 For individuals who carry HLA-B27, their risk of developing ankylosing spondylitis decreases by a factor of four if they also carry two copies of the protective variants of ERAP1. ERAP1 plays a role in breaking down proteins within the body into smaller molecules known as peptides. The gene interacts with HLA-B27 to affect how these peptides are presented to the immune system. This is an essential process for mounting an immune response to invading pathogens, but when it goes awry it can result in the immune system causing inflammation and damaging tissue. The researchers found that some variants of ERAP1 protect against the development of ankylosing spondylitis by reducing the amount of peptide available to HLA-B27 within cells. The researchers believe that inhibiting ERAP1 may help treat the condition. The researchers also analysed the genetic make-up of individuals with ankylosing spondylitis who did not carry the HLA-B27 variant and found associations with several genetic regions, the first time that associations have been found in HLA-B27 negative individuals. These findings indicate considerable similarity between the way HLA-B27 positive and negative ankylosing spondylitis develop. Professor Matt Brown from the University of Queensland, Australia, says: “Our work shows the great value of partnering genetics research with functional investigations to determine the basic biology which leads to common diseases such as ankylosing spondylitis, the causes of which have remained an enigma for so long. Professor Alan Silman, Medical Director of Arthritis Research UK , which funded the preliminary work for the genetics research said the study was important, but added that it needed to be followed up before its significance could be measured clinically. “We’re supporting further intensive work needed to investigate whether these genetic targets could offer scope for novel treatment approaches,” he said. Debbie Cook, Director of The National Ankylosing Spondylitis Society (UK) added: “We are delighted with the results of these genetic studies in ankylosing spondylitis which will help us to understand the causes of the disease better, and hopefully to develop new ideas about its treatment. Our members have been heavily involved in these studies with scientists at the University of Oxford over the past 10 years and it is good to see the progress that has been made. It has long been recognised that there is a genetic element to the condition and that it has a tendency to run in families. The identification of 14 genes involved in this process clearly helps to understand the reasons for this. The study was funded in part by Arthritis Research UK, the Wellcome Trust and the Oxford Comprehensive Biomedical Research Centre ankylosing spondylitis chronic disease cohort.